Our Whole-Grain Barley Flour is Certified Kosher and non-GMO, and is typically used as a partial wheat flour replacement in breads and other baked goods where additional fiber is beneficial. 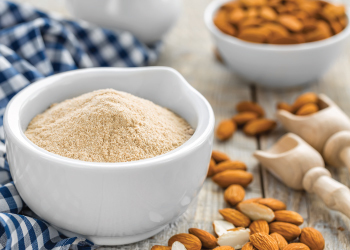 Honeyville's Whole Grain Barley Flour is made from select US domestic barley harvested near and milled by our family-owned mill in Northern Utah. Barley Flour is typically used as a flavorful way add fiber to artisan breads, cookies, pancakes, and other baked goods. ½ cup of barley flour contains 7 grams of total dietary fiber. In comparison, ½ cup of white all-purpose enriched wheat flour contains just 2 grams of total dietary fiber. Whole Grain Barley Flour contains gluten, the protein that helps baked goods rise. However, it's important to note that the type of gluten in barley flour does not promote adequate rising on its own. 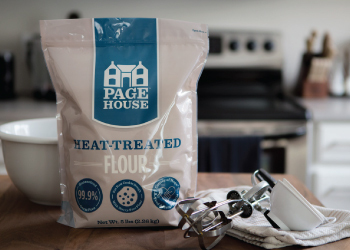 It's best to use this flour in combination with wheat flour for baking. Visit our blog In the Kitchen with Honeyville to find delicious recipes for Barley Flour and more! Shelf-Life: Barley Flour will store for 1 year in a sealed 50 pound bag under ideal storage conditions (cool, dry place). Uses: Whole-Grain Barley Flour is used mostly in combination with wheat flour for baking. This flour may also be used as a thickener for soups, stews and gravies. Packaging:Honeyville Whole Grain Barley Flour is available in bulk 50 pound bags. Packaging may vary from picture.